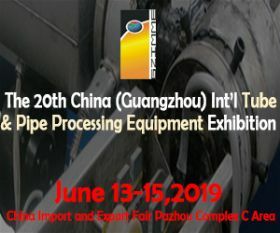 The 20th China (Guangzhou) Int'l Tube & Pipe Processing Equipment Exhibition was successfully held on June 6 to 8, 2018 in Guangzhou Import and Export Pazhou Complex. 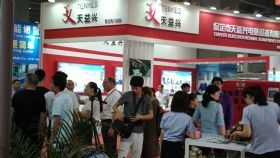 The total exhibition area reached 20,000 sqm. 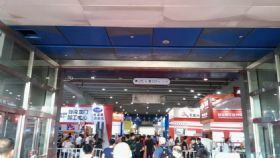 This exhibition with Steel pipe products，Fitting products， Pipe equipment，Steel pipe ；Flange，Pipe accessories，equipment，The Exhibition is made of raw materials, processing technology and equipment and products. Due to the large scale, strong professional and participating companies are interdependent products, and thus formed a complete industrial chain, played a huge industrial chain effect, the results of a large transaction. 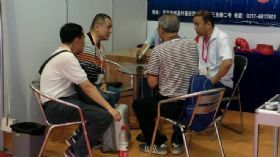 After careful planning and careful organization, the exhibition by the relevant government departments and relevant social groups, an important concern within the industry, get a good social effect and economic benefits, the majority of exhibitors are recognized, 50% enterprises have begun consulting booking next year booth at the scene.